It’s now nearly impossible for someone to not know that smoking is harmful. The warning labels on packages, the successful anti-smoking campaigns, the lessons in basic health classes on its negative impacts, the rise in workplace prevention programs and the sharp downtrend in social acceptance has made the message crystal clear. This guide breaks down what happens when you quit smoking to help you stay focused on giving it up. From whatever angle you look at it— cost, health effects, inconvenience, social stigma—smoking simply isn’t worth it. In some countries, governments have mandated pictures on every cigarette carton that demonstrate that long term effects have cigarette smoking. Let’s just say that they are less than pretty. But quitting smoking is tough. It’s not just a physical habit; it’s a psychological habit as well. For many, smoking becomes as part of their daily lives as much as breathing, eating and sleeping. With the right tools and support, you can successfully stop smoking long-term. It’s much easier to endure the side effects of quitting smoking if you understand them. 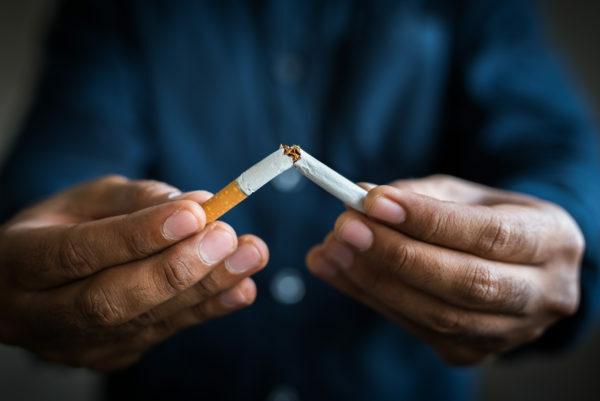 Although you may feel strong cravings to smoke again, it’s essential to know the benefits of quitting that start as soon as 20 minutes after your last cigarette. These facts might just save your life. 20 minutes: Your blood pressure and pulse rate return to normal. The temperature of your hands and feet also goes back to normal. 8 hours: Nicotine and carbon monoxide levels decrease by 50%. 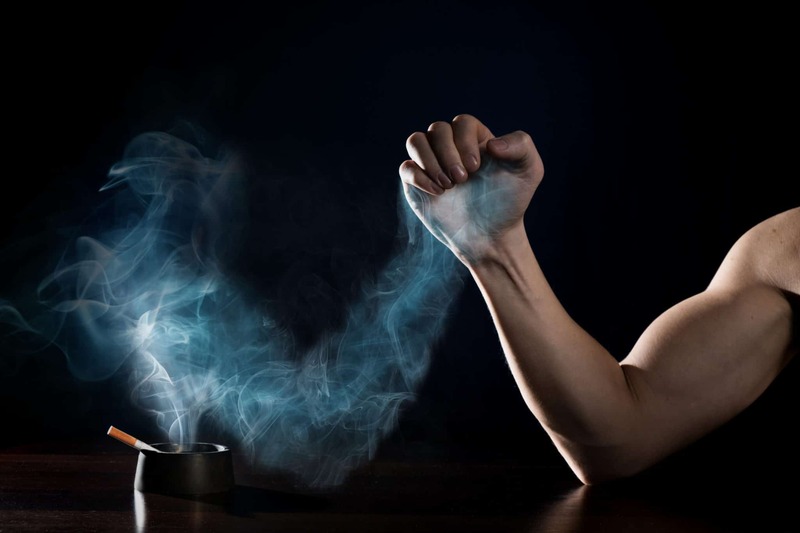 In smokers, carbon monoxide takes the place of oxygen, depriving your muscles, tissues and other vitally important organs the essential nutrients its needs. As these chemicals decrease, your body’s circulatory system function improves. By this stage, cravings may begin. This is normal. Cravings typically last approximately 10 minutes. When you’re faced with cravings, try to distract yourself by watching TV, exercising, reading a book or getting outside for fresh air. Remind yourself that those who smoke are twice as likely to have a heart attack. 12 hours: Carbon monoxide decreases to normal levels further improving heart function. 24 hours: Your risk of heart attacks drops significantly. After 48 hours, you’ve hit a significant milestone. Congratulations – your body has completely eliminated nicotine from your system! Now your senses of taste and smell will improve as damaged nerve endings start to regrow and heal. You may experience significant coughing as your body is trying to rid itself of the extra mucus in your lung. But you’ll also notice that your breathing and respiratory function are greatly improving and any instances of shortness of breath are decreasing. This is the key phase you have to break through. Do whatever you can to distract yourself- go out to a movie, visit a friend, try yoga or another fitness class, take a walk or ask friends for support.